Savvy train passengers could reduce their fares by up to 86% by following a series of clever tricks, according to new Which? research. Our researchers used a combination of the 10 tips appearing in our cheap train tickets guide to reduce the cost of a journey from Cardiff Central to Newcastle to £23.66, plus £1.68 cashback. An anytime ticket will set you back £159.90. We also secured a 85% discount on tickets from Birmingham New Street to London Euston – and there’s a wealth of other journeys where similar discounts could be snapped up. If you’d like to read more advanced money-saving tips like this, as well as our latest investigations and expert guidance on savings, investments, pensions, tax and more, try Which? Money for two months for £1. 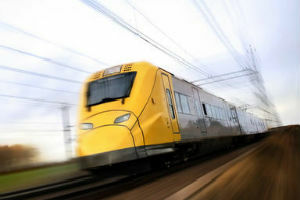 One of the easiest ways to secure cheap rail tickets is to book them in advance. The cheapest advance tickets typically go on sale 12 weeks before the departure date, so plan well ahead if you can. We found advance tickets for the 08.05 service from Cardiff Central to Newcastle for £48. However, in order to secure even bigger discounts, it’s worth investigating ‘split ticketing’. This trick involves buying multiple tickets to cover separate parts of your journey. The only rule is that the train must stop at all the stations named on your tickets. For example, you can often cut the cost of travelling from Cardiff to Newcastle by splitting your ticket at Manchester Piccadilly. Using this method, we found advance tickets available for a total of £35.50 (£20 from Cardiff to Manchester and £15.50 from Manchester to Newcastle). National railcards cost between £20 and £30 a year and can give you a third off train fares. Some railcards can’t be used during peak times. See our table for information. Using a railcard for the Cardiff to Newcastle journey brought the cost down to £23.66. We secured £1.68 cashback by purchasing our tickets through TopCashback, which was offering 2.1% cashback (50p) on tickets bought through the Virgin Trains website. By paying for the tickets using an American Express Platinum Cashback Everyday Credit Card within the first three months of account opening, we got another 5% cashback (£1.18). You can learn more about earning cashback in our guides on cashback sites and cashback credit cards. It doesn’t always have to be this complicated. We cut the cost of a journey from Birmingham New Street to London Euston by 85% using the same method without having to split our ticket. Nevertheless, it’s worth experimenting online to see if are split-ticket savings available for your train journey. Our cheap train tickets guide has further information on split-ticketing and finding advance tickets, as well as extra tips for reducing your train fare. Last year, 47 million rail passenger journeys were cancelled or delayed by more than 30 minutes. We found only 34% of passengers who may have been entitled to a refund said they actually claimed. We’re calling on train operators to improve compensation for delays, and if they don’t we want the regulator to take enforcement action. *Our research took place in March 2016. Savings for the Cardiff to Newcastle journey are based on the 08.05 service on 15 June 2016. Savings for the Birmingham to London journey are based on the 08.10 service on 22 June 2016. All prices and cashback rates mentioned in this article were correct on 14 April 2016, but are subject to change.